Keanan: So, hey, Marco how you doing? Keanan: So, tell me what you love about Buzzazz. Marco: Wow, what you don’t love about Buzzazz? Best marketing company in the world. Keanan: And tell me how you met Buzzazz. Marco. Because of it’s amazing owner. Keanan: And tell me what you used to do for the Dodgers. Marco: I was the manager of their campaign for two years. 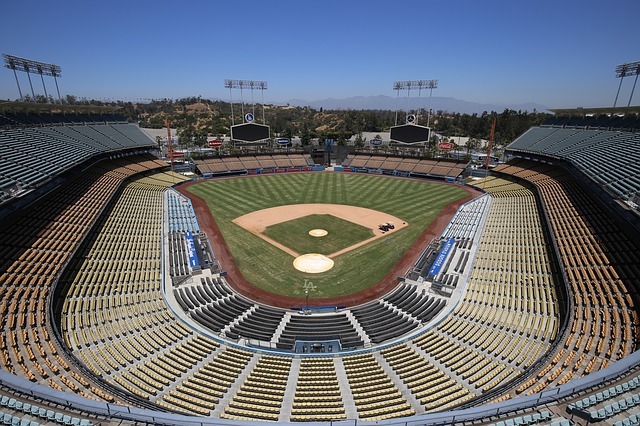 Keanan: Nice, for the LA Dodgers? Keanan: The guys who just got second place in the World Series? Keanan. That’s awesome. Number two! Number two! Keanan Kintzel talks to Marco Victorino, who used to be the marketing manage for the LA Dodgers, a team which has won 10 National League Championships and five World Series rings, and probably need no introductions. He has a very positive attitude, and is very determined, and he achieves the goals that he sets himself. We want to help other businesses to do this. Get The Help You Need To Achieve Your Goals, Call Now! Buzzazz Business Solutions specializes in finding the solution that is going to help your business attain the levels of success that you have always wanted. If you want to be a heavy hitter, like The Dodgers, then you need someone with more than just a great pitch who can play the role your company needs them to – Buzzazz is that player. If you are in need of help to attain your goals, or you have any questions about specific areas that you need assistance with, please contact us immediately. We look forward to being able to help you.